Our installers are qualified to install a wide range of systems and are accredited for your peace of mind. Fire safety is far too important to cut corners or make compromises. 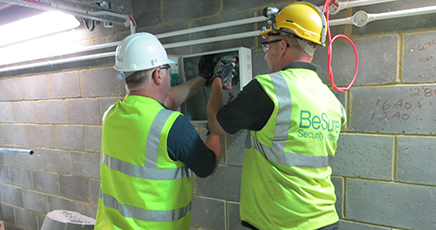 At BeSure we are specialists in all aspects of fire safety including the design and installation of fire alarms, smoke detectors, heat detectors and fire call points. We only use the very best quality fire products and all of our installers are experienced and qualified to provide you with complete peace of mind. We are BAFE registered, what does this mean to you? From the start we will work closely with you to carry out surveys on your premises, carry out fire risk assessments and design and install fire protection devices to ensure you comply with laws, legislations and insurance policies.